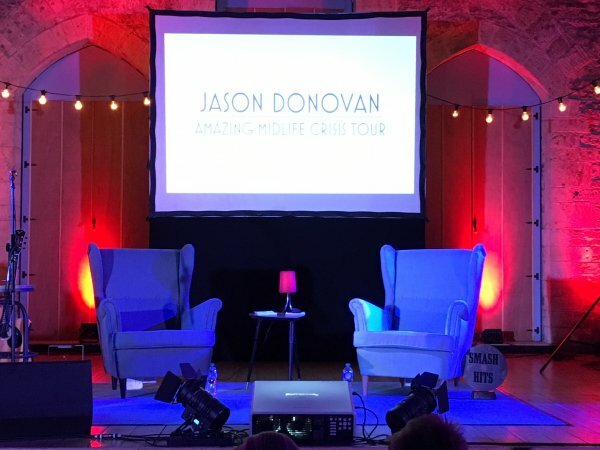 On Friday 4th of May 2018, Jason Donovan came to Bishops Cleeve, near Cheltenham, for his Amazing Midlife Crisis Tour. 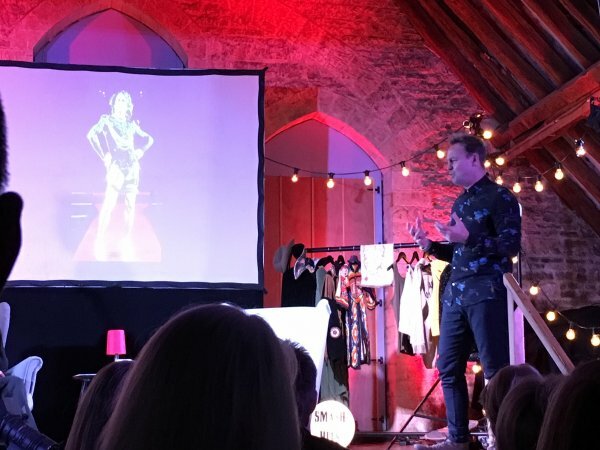 The Tithe Barn in Bishops Cleeve seats a maximum of 150 people they were probably 130 women and 20 men in the audience and an entertaining evening was had by everyone who attended. The evening started with a film about Jason and a snapshot of his life during which he explained that he wanted to go on tour but lost his voice last year in 2017. There were lots of pictures of his Jason and his family doing lots of fun things around the world. and Joseph and his Amazing Technicolour Dream Coat. He thought that maybe have a look after his voice as well as he could have done. It seems like a lightbulb moment for him to go onto approaching 50th birthday and make it a talking tour. We heard a lot about the old days with Kylie, Bouncer the dog and Neighbours, number one hits with Stock, Aitken and Waterman, as well as the drugs and birth of his children. At the start of the second-half Jason and his musical colleague played an acoustic version of Any Dream Will Do, the hit song from Joseph. We were all encouraged to join in which we did! The audience were all encouraged to join in, which we did! We were then treated to a costume tour of some of Jason’s favourite roles. So we saw some of the outfits from Priscilla Queen of the Desert, Neighbours, Strictly Come Dancing, I’m a Celebrity Get Me Out of Here and the highlight was the coat of many colours. Along the way we had many funny stories and moving tales about Jason’s life. The evening was rounded off with a few questions from the audience and a rendition of Ten Good Reasons, Jason’s number one hit single from 1988. The evening was an insight into the highs and lows of living a celebrity lifestyle and coming of age and Jason was very frank about his feelings about his life. He shared some funny stories and the audience left feeling amused and on a high. Several times Jason mentioned how intimate the venue was and how close the audience were. 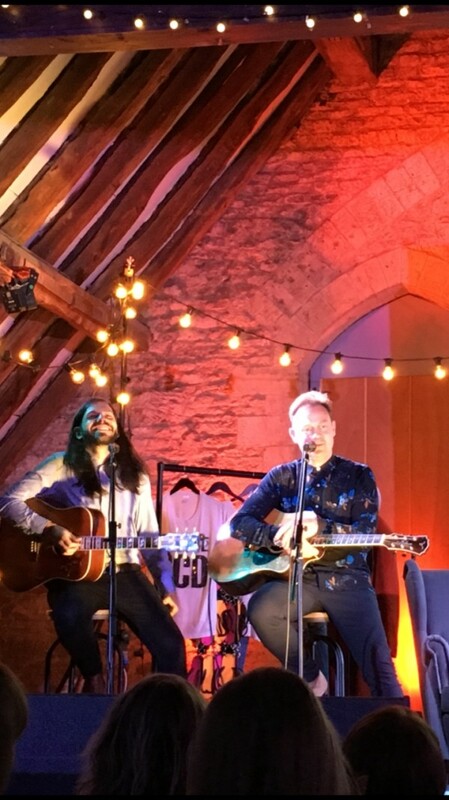 It was a privilege to see Jason Donovan talk and perform in such a small venue so close to Cheltenham. Hats off to Cleeve Concerts for bringing him for our entertainment. Thank you!